Gain a mix of creative, technical and professional practice skills by taking Architectural Design with another subject. You’ll learn about both traditional design and latest digital technologies. If you’re interested in getting involved in exciting development projects, taking Architectural Design as part of a Joint Honours degree gives you excellent insights and practical experience. Knowledge of Architectural Design will stand you in good stead for a broad range of creative, innovative and fascinating careers where you can help shape the world around you. A joint honours degree is the perfect choice if you want to study more than one subject. It is an excellent way to keep your career options open and set yourself apart as a versatile, multi-skilled graduate. 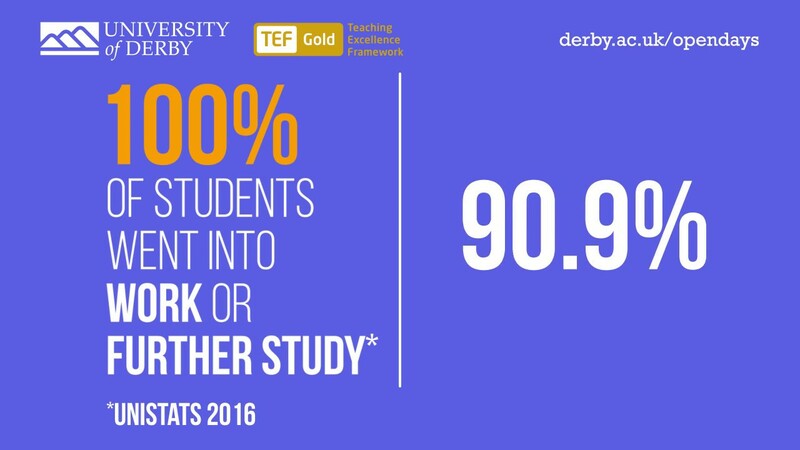 You can combine Architectural Design with one of the joint honours subjects on offer at the Derby Campus, building a degree which is tailor-made for you. Most students choose to study Architectural Design alongside Property Development but other options include subjects like Business Management. This course is practical and largely studio-based. You will develop creative and technical architectural skills, along with an awareness of both traditional and contemporary architectural design, including the application of latest digital Computer Aided Design (CAD) technology. Your studies are structured so that you gain basic design skills and techniques in your first year, completing a variety of projects using CAD as well as traditional drawing techniques. In the final stage, this culminates in an individual study of design and research where you can explore your full potential as a creative designer. You will be assessed in a variety of ways to help you develop your presentation and communication skills, which are essential for professional practice in the architectural design field. You can study Architectural Design as either a joint, major or minor subject. This will determine how many modules you’ll study at each stage. Please check your other subject to ensure it is possible to create your chosen combination. The majority of your studio projects will be based upon actual local sites which involve real clients. During your studies, you will have the chance to take part in UK and European study trips. There is also the opportunity to take a placement year, which helps you gain an additional qualification, the Diploma in Professional Practice (DPP). This course has a real design and technical emphasis to help you embark on a professional architectural career. In particular, you will develop digital skills which are highly relevant in the contemporary architectural workplace. If you combine Architectural Design with subjects such as Property Development or Business Management, you could start your own business or work in the practical side of property planning and designing. You can also study further to achieve membership of the Chartered Institute of Architectural Technologists.